Moshi, the maker of premium accessories and peripherals for Apple devices, announced today at CES in Las Vegas a gorgeously crafted wireless speaker with built-in support for AirPlay, a media streaming technology from Apple. 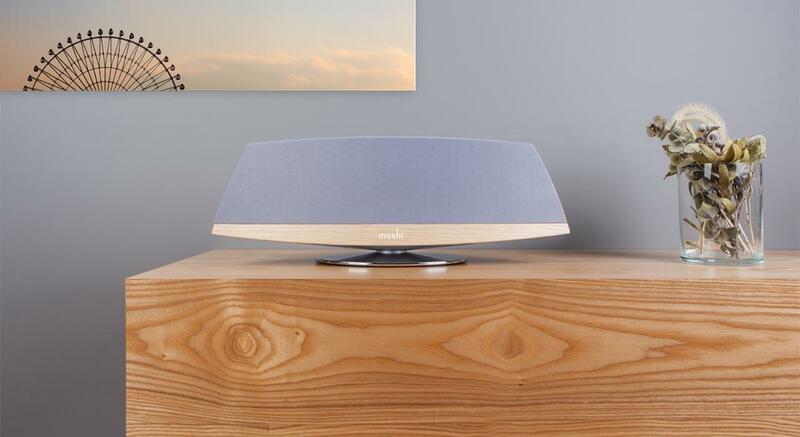 Because AirPlay is directly supported by the Spatia speaker hardware, as Moshi is marketing its new product, you can stream music from an iPhone, iPod touch, iPad or Mac to the speaker without being connected to a home Wi-Fi router. 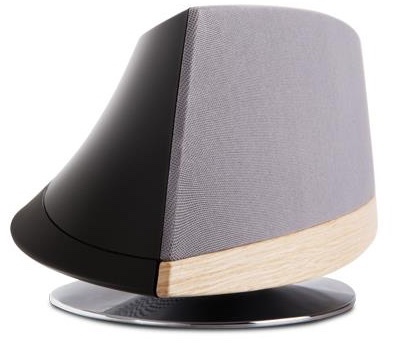 The elegantly designed Spatia augments its premium design with metallic, wood and fabric accents to bring a modern stylistic element that matches your home decor nicely, and has a handy stand to elevate the speaker for better sound quality. 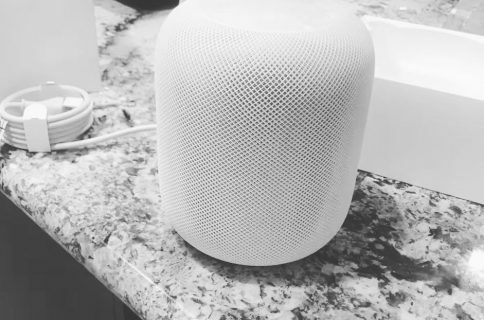 Speaking of which, in addition to lossless audio streaming from any AirPlay device or computer with iTunes, the Spatia supports Wi-Fi Direct for a direct wireless connection to the speaker and features Antenna Diversity technology which improves Wi-Fi reception. 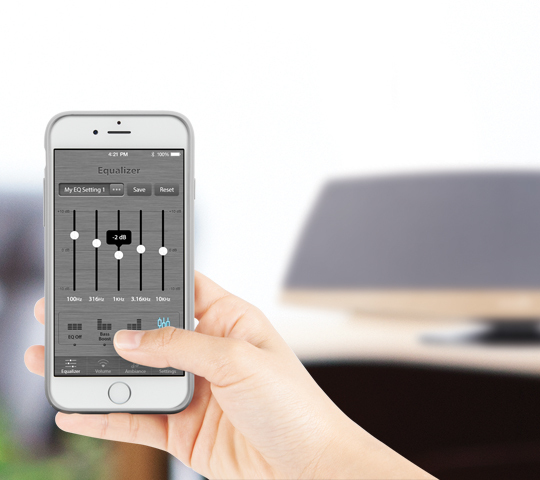 A dedicated app is available in the App Store to set up the Spatia, adjust your equalizer, save preferred sound profiles and even play ambient sounds for sleeping and relaxation. Inside the Spatia are two 2.75-inch drivers, a four-inch downward firing subwoofer and twin one-inch tweeters which are driven by two digital signal processing chips. A pair of Class-D amplifiers ensures that your high, mid and low frequencies are separated correctly for crisper sound. Pricing and availability will be revealed in due time. It’s encouraging to see that home audio vendors have not forgotten about AirPlay. 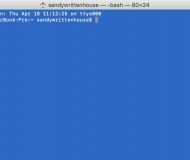 Eagle-eyed readers may recall that several years back Apple moved to put AirPlay into third-party wireless speakers. 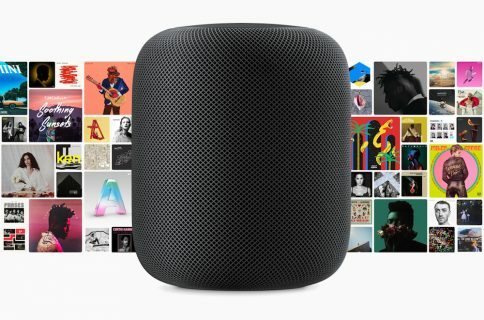 Unfortunately, the initiative hasn’t hit the ground running as Apple planned due to half-hearted support from launch partners Denon, Bowers & Wilkins, JBL and iHome and Apple’s stringent requirements in terms of license fees and AirPlay-compatible chips. 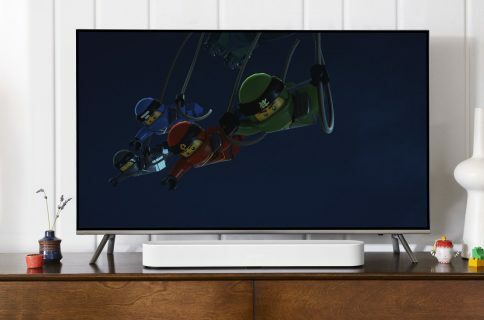 With that in mind, Moshi’s AirPlay speaker is also significant in light of yesterday’s announcement that Google Cast, the search giant’s version of AirPlay, now supports direct audio streaming to wireless speakers, sound bars and receivers from Sony, LG and HEOS by Denon, with additional Cast-ready equipment from other audio companies coming throughout the year.